It’s no secret that Americans are unhappy with Congress, but what are people displeased with and how could that be changed? Commissioned by the Congressional Institute, the Winston Group delved into Americans’ view of congressional dysfunction to hear directly from people why they disapprove of their elected federal officials. The Winston Group’s research also looked at how this situation could be changed – how could Americans regain their trust in Congress. 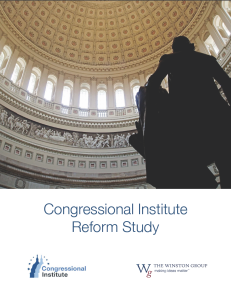 The results of their findings are here, and the report is a starting point for Members of Congress, congressional staff and the American people to weigh their concerns and see how, through meaningful reforms, Congress can get working again. It is widely known that the American electorate disapproves of Congress and the level of partisanship that is taking place in the public policy environment, but there are deeper reasons behind the disapproval and dissatisfaction in the national voter outlook. There is significant concern about the future for the next generation and frustration over partisanship, but going beyond partisanship alone, there is also a concern about a lack of accountability in Congress and a perception that Congress is not truly acting in the best interest of the people. Compounding this problem, the media is viewed as a source of promoting conflict in Congress, with many voters acknowledging that there may be good things happening in Congress but the media does not report on it nor is the media incentivized to report on positive events. As a result, the electorate is not fully clear on what is truly happening in the legislative process. Given these elements, the majority of the electorate – including voters of all partisan affiliation – feels that their voices are not heard effectively in the current policy discourse. In recent research commissioned by the Congressional Institute, we looked at approval of Congress and individual Members of Congress, but also reasons behind approval and disapproval. While disapproval is largely motivated by perceptions of general ineffectiveness, Republicans tend to feel the ineffectiveness comes from lack of accountability and lawmakers not acting in the best interest of the people, while Democrats’ perception of ineffectiveness is that Congress blocks the President’s authority for partisan reasons in addition to not being accountable. This difference in perspective about the reasons for Congressional ineffectiveness also impacts views about the present constitutional balance of power, with Democrats feeling that power has shifted too much toward the legislative branch, blocking the President’s agenda. 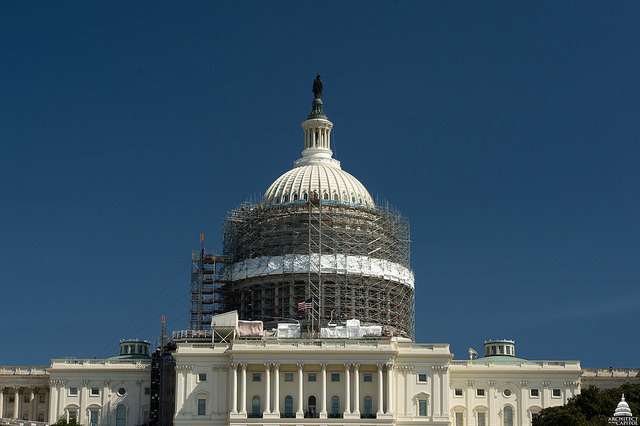 Republicans believe the opposite – that power has shifted too much toward the executive branch. This difference is more of a reflection of which party currently holds the executive branch than simple partisan disagreement. These elements provide a natural construct for an effort to begin reforming Congress and introducing proposals that would have a direct impact on increasing the level of accountability in Congress, also providing voters with greater clarity into the legislative process. Of a set of potential reform proposals, the stronger performing proposals related to increased transparency about voting records and increased oversight of budget and regulatory issues. While there were some variations by party and ideology, there was general consensus across party about the proposals that would have the most positive effect on Congressional accountability, presenting an opportunity to build bipartisan consensus around certain proposals. While reaction to the overall set of proposals was that many of them should already be happening, the general outlook from voters was that the set of proposals would be a good first step to refocusing Congress on its basic responsibilities in addition to increasing accountability, understanding of the legislative process, and helping voters’ voices to be heard. For a summary of key findings, click here.